Information about LG CE500 leaked on FCC website. The phone is dual-band GSM (850/1900MHz) that also features the 1800MHz band for use in Europe. The phone is music-oriented and features stereo 3D sound, and music-dedicated keys on the cover (it is in clamshell form-factor). It doesn't have Bluetooth, but Infrared port is available for connection with other devices or synchronizing with computer. It also has dual color displays and built-in VGA camera that can also snap video files. 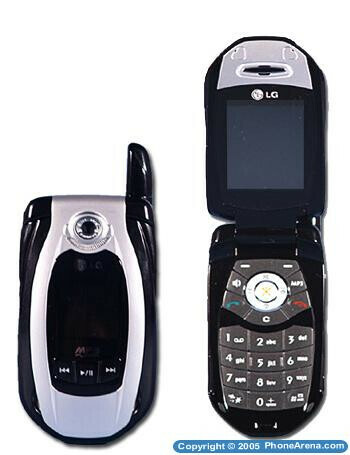 The logo at its center navigation key, as well as the user manual refers the phone to Cingular.